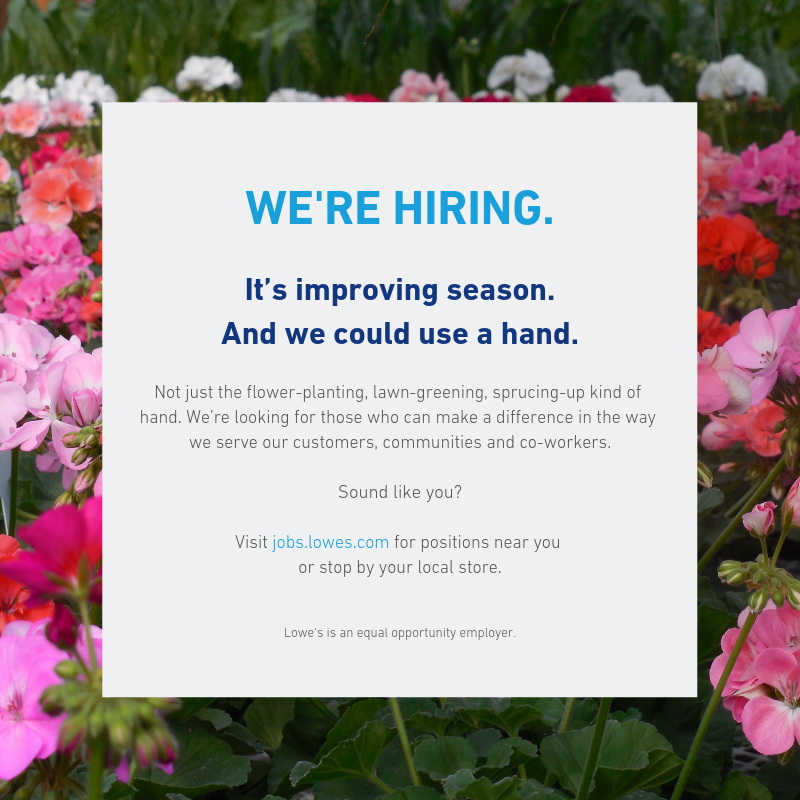 Lowe's here in Helena is hosting an all-day hiring event at our store. We are looking to hire about 30 people, and nationwide our network of more than a thousand stores will be hiring 50,000. 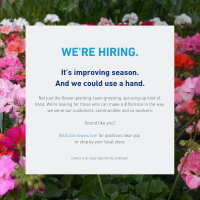 You can apply early at Lowes.com.